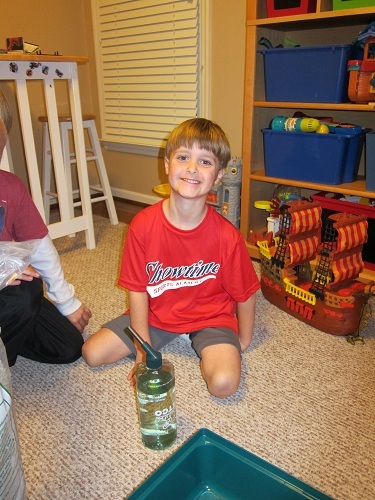 I cannot believe Seth turns 6 today! He has been counting down the days for more than a week and said last night before bed, “I can’t believe I am going to grow tomorrow!” 🙂 This sweet boy is so funny and a JOY to be around! We celebrated his birthday with some of his friends at a party on Tuesday (pics to come soon) and I took donuts up to school for him to share with his friends at lunchtime. He opened two presents this morning but he went after dinner to pick up his big present with Zach. Most of you know that Seth loves animals. He knows that I am allergic to most animals and rarely asks for a pet but I know that is what he really wants. 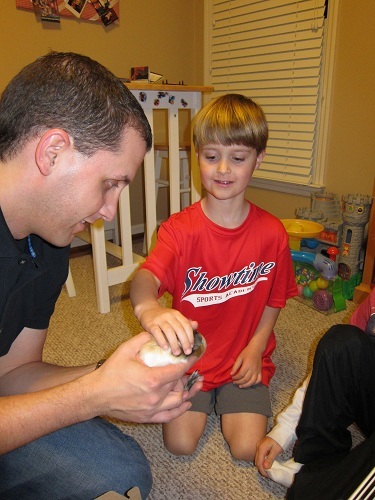 So, after some research, we decided to let him pick out a guinea pig. If it goes well and he takes good care of it, we’ll talk about a dog in the future. I am definitely putting aside my preferences for this boy! 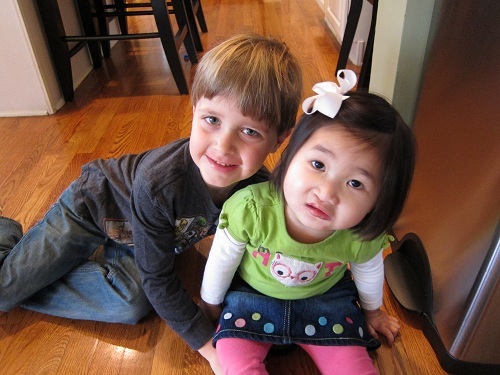 With 4 kids in the house, I am hesitant to bring something else in that needs care. I’m sure most of you moms understand! He is still a super picky eater. He doesn’t eat much of anything and typically eats the same thing over and over. Every day for lunch he takes a turkey sandwich (or turkey rolled up), gogurt, juice box, and goldfish or pretzels. EVERY DAY. He is very sensitive. This has really developed over the last year. He cries easily if he feels like someone is upset with him. He also doesn’t like to see others upset. Whenever his siblings (especially Molly Kate) get in trouble and start to cry in time-out, he always tries to sneak over to them to console them. He is not in love with school (although he loves his teacher). He has lots of friends and enjoys the fun aspects of school but really doesn’t care much for the learning! Ha! He asks to be home-schooled about once a month. He also LOVES his Daddy. He has definitely become a Daddy’s boy over the last year. If Zach is going somewhere on the weekend, Seth is the first to jump in the car with him to get some one on one time. 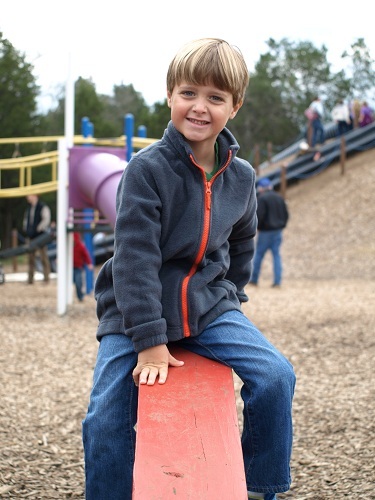 On the seesaw at Lucky Ladd Farms in the fall. 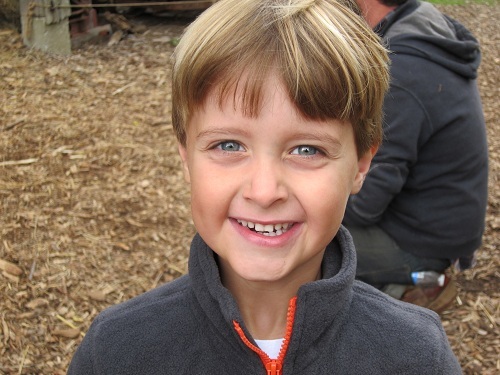 Seth on a school field trip with Zach. 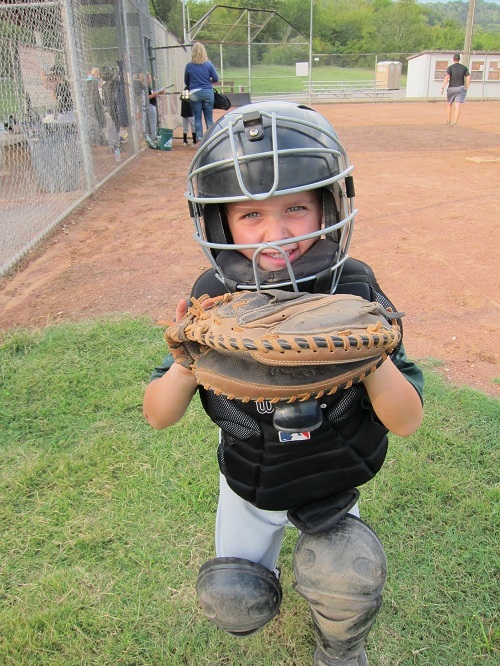 Seth playing catcher for Carter’s team last spring. He loves playing up with the 7 & 8 year olds! 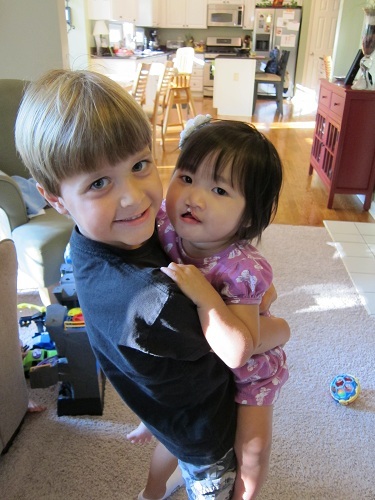 Seth carrying Molly Kate around. These two LOVE each other. 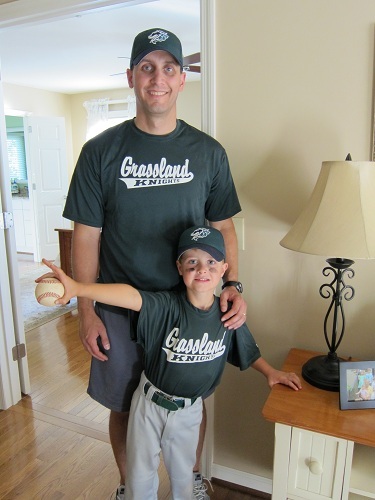 Seth and his Daddy after he received the game ball this fall. 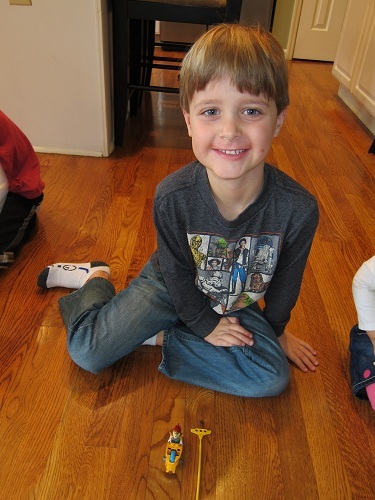 The three boys have spent hours racing Chima cars/motorcycles all week. 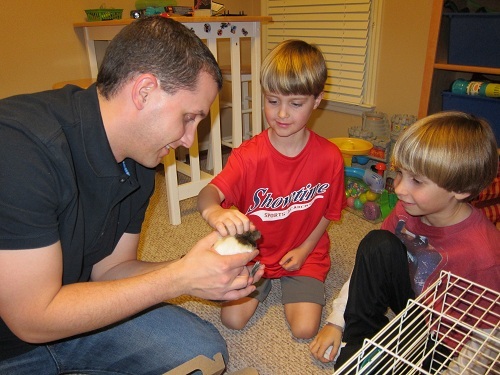 Seth helping get his guinea pig’s cage ready.